Plans to change the food service operation at the JJC main campus are currently underway. Over the past few years, Food Services has been working diligently to reduce expenses and increase revenue. Director of Business and Auxiliary Services, Janice Reedus, states that cafeteria sales have reduced significantly due to issues that Food Services has been unable to resolve. According to Reedus, there has been a significant decrease in on-campus enrollment as more online classes are being taken due to convenience. Along with less Pell Grant funds being granted which is possibly due to a shorter deadline for students to use the Pell Grant funds. “…the cafeteria having a financial loss of $242 thousand last year and $148 thousand the year before. This financial loss is driving the need for change,” says Reedus. There are two options that are being considered. The first is to restructure the operation, and the second is to outsource it to a third party vendor. The goals for both options are to reduce the financial loss, preserve as many jobs as possible, and support employees through the possible rough transition. For the restructuring option, JJC would continue to operate as is and the Food Services managers would work together to develop a plan of action in order to reduce the expenses without reducing the sales. This could lead to eliminating many of the menu offerings, operating hours, and even staff. Regarding staff, there will most likely be changes but it is unknown at this time what these changes will be until the restructuring plan is finalized, says Reedus. For the outsourcing option, JJC would issue a Request for Proposal (RFP) to all interested parties requesting that they submit proposals on how they would manage the college’s food service operations and how they would plan to compensate the college itself. JJC would then go on to require that the chosen outside firm interview all current employees due to the firm making all hiring decisions. All cafeteria employees of JJC would become employees of the new firm instead. According to Reedus, in order to determine if they are meeting the budget projections for revenue and expenses for the school, they review the entire financial situation of each operation. If they aren’t being met, then they have to analyze the situation to determine the cause(s). “We will work on both options simultaneously with a recommendation going to the JJC board of trustees in February of 2019. The board makes the final decision,” says Reedus. Both plans may lead to a loss of jobs available in the cafeteria, but it may be inevitable due to the lack of finances available for the food services. This all comes down to the current enrollment slump that JJC and many other community colleges are going through. In general, enrollment slump in community colleges happens when the economy is strong, leaving students with the opportunity and funds to attend a 4-year institution rather than going to a community college and then transferring on to save money. While the economy being in a good place is an excellent opportunity for most people in the U.S. it creates a dire situation for community colleges. JJC has seen an enrollment decline recently, but Galick has seen other community colleges having an even larger decline. Galick says that they are attempting to find new academic programs that can result in good jobs for students and are currently reviewing current academic programs and their curriculums to determine if they are still meeting the needs of employers. According to Galick, reduced enrollment will always mean reduced tuition revenue, resulting in the school having to make up the difference elsewhere. He also states that they could reduce costs of things, but it’s not that simple: this could result in reduced services available to students. On the other hand, they could also increase the rate of tuition. “Please know that a tuition increase, no matter how small, is always the last resort,” Galick says. 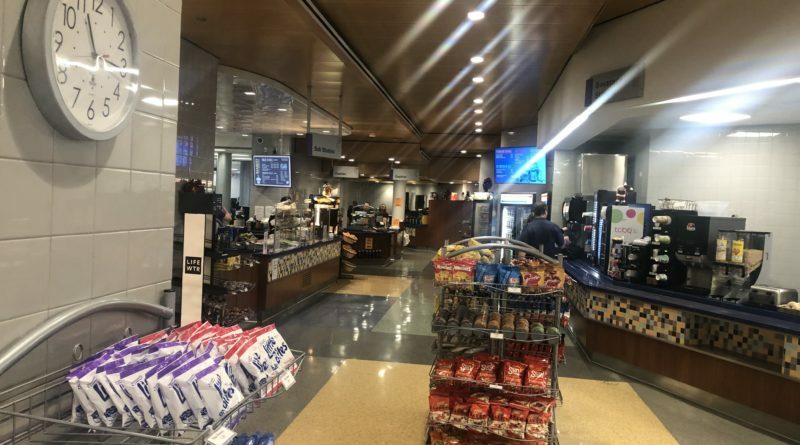 The overall objective of the options available is to improve the financial situation that JJC’s food service operation is going through currently to combat the enrollment slump issue. It will hopefully reduce the college’s expenses and perhaps even generate more income. “Improving the financial picture means more money to support programs for our students,” says Reedus. No matter what, Galick says the student body will always be a priority in mind. While we can only hope that these options are going to assist the food services program, it makes one wonder what could happen to other programs within the school due to enrollment slump. The board is looking to make one of these options effective by July 1, 2019.